Damian, who has been working alongside Dan since 2006, is an instrumental part of the running of our stable. He grew up around horses and as a showjumping rider represented Australia in India in his late teens. Overall, he is an all-rounder who assists in the day to day running of the stable, rides track work, educates our hurdlers, attends the races and even breaks-in the odd youngster. Mel’s work background consists of administrative, financial, sales and customer service roles for high profile companies such as Ansett, Clinique, Australian Catholic University, HBA and Credit Union SA. 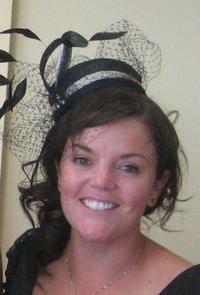 She has been attending the races since a little girl, and has family involved in the racing industry. Dan and Mel were married in 2002, and became the very proud parents of their little boy, Alex in 2009. Mel loves getting to the races to socialise and cheer home our runners. Alex is very keen to get to the stables to help mix the feeds, top up the waters and check that the stable cats are doing their job. No matter what the weather, he’ll walk through puddles or roll in dust just to give Dad and the team a helping hand. His mate Juggles, on the other hand isn’t too interested in hard work. He is much more interested in food and cuddles. Juggles enjoys going to the races when any of his big friends need a companion. Nikki has been a great acquisition since joining the Dan O'Sullivan Racing team in June 2014. 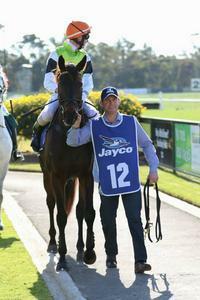 The 20-year-old boasts an extensive background in riding, which stemmed from a long association with Queensland trainer Bevan Laming. Nikki jumped on a pony at the age of five and first learned to ride work at 12, and has done it ever since. "The first thing Nikita Berriman said to me was: 'as long as you can count your furlongs, you'll be fine'," Nikki says. 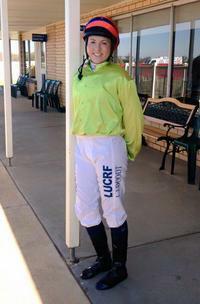 Lucy joined us as an Apprentice Jockey in October 2014 and immediately settled into our team. Like most of our team, she has grown up riding horses and has many trophies in her cabinet. As well as being a good little rider, she is a very good dancer, having learned ballet, comtempory, pointe, hip-hop and highland. In 2007, Lucinda received the state title for highland dancing in the 12 to 14 year age category. In 2011-12 she won the under-16 title and last year was named the adult champion. Lucy had her first race ride in May 2015 and we're confident it won't be too long before you see many wins by her name.